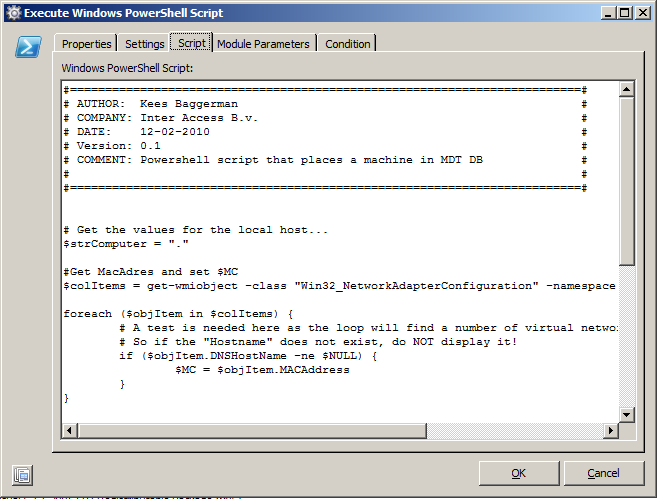 So I wrote the following Powershell script which uses an additional powershell module named MDTDB.zip from this blog post by Michael Niehaus, you can download it by using this direct link. 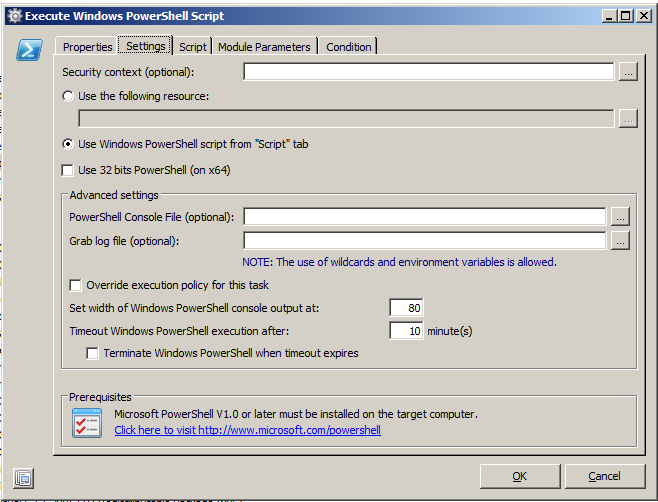 Place this on a share that can be reached by all workstations because the powershell script uses this module. To place a machine in the database for this customer we need three values: Mac address, hostname and serial number. # So if the “Hostname” does not exist, do NOT display it! Now you’re set to use this script during deployment. I’ve added it to the project that runs when the machine is added to a team a created so when a machine is deployed with WDS, MDT the RES Automation Agent is installed and based on the team it will run a certain project and this module is now part of this project. Thomas, thanks for the tips. Scripting is not day to day work for me so every improvement is welcome! I will test your comments and if they work I will see if I can change my post.